I’ve written before about the need to see drawing as a skill to learn rather than a game of genetic chance that you may have won or lost at birth. See Tips on drawing… But I can’t draw! and 5 Critical Beliefs that boost creative thinking. I read a post this week by Agnese Aljena on the 7 common things for drawing and business where Agnese makes the point that drawing and business are both learned sets of skills, both need love, dedication and passion. That resonated strongly with me. Especially as my business is about creative thinking and a (cool) foundational element of that is drawing out ideas, sketching down concepts and working them through with my clients using both word and image. So back to the need to LEARN. How did I learn these skills? For my ‘drawing’ in the context of business, communicating ideas and providing clarity for myself and others – I went to a number of very talented people in this field… Christina Merkley, Peter Durand and Diane Durand, Sunni Brown and Dan Roam. For my business skills, I had the joy of working with and learning from colleagues Mary Maher and Trevor Lloyd. My partner, Ian also brings lots of business smarts to our conversations, so I bounce ideas around when I need input. These are the generous folk that got me started. Ultimately, though, LEARNING occurs for me from the DOING. Experience births new ideas and understanding. That brings me to another topic that interests me greatly – evaluating the success of an endeavour. At its core, evaluation is purposeful enquiry – to learn, improve and get better in how we bring our ideas into the world. In so many areas, our communities need new and better ideas right now (that whole discussion is probably for another time/post). So, how do we ‘measure the success’ of a project, a business initiative, or – dear to my heart – a workshop? 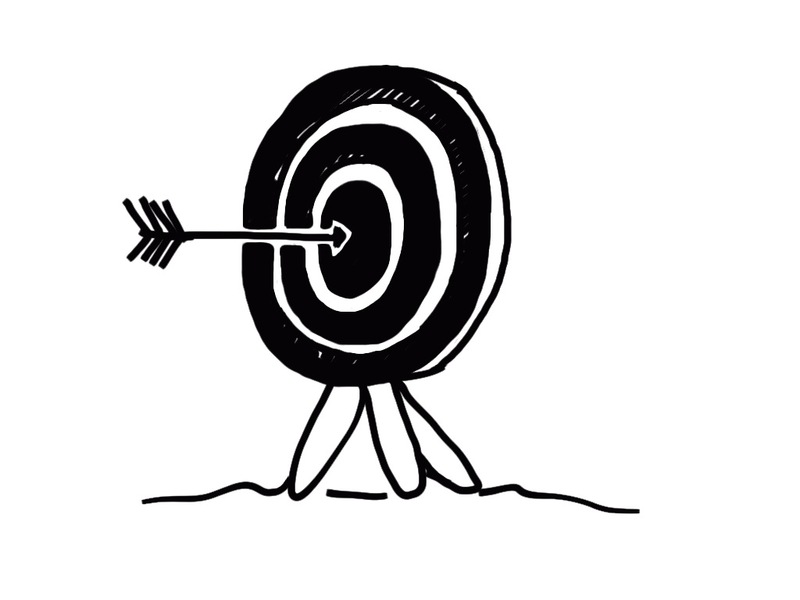 How do we know if we are ‘hitting the mark’? This is a focus for me as I prepare for a workshop I am running in New York, USA on this topic later this month. So to prepare, I have set myself a task of writing a series on this topic – how to’s, tips and techniques for Measuring Your Success. STAY TUNED!